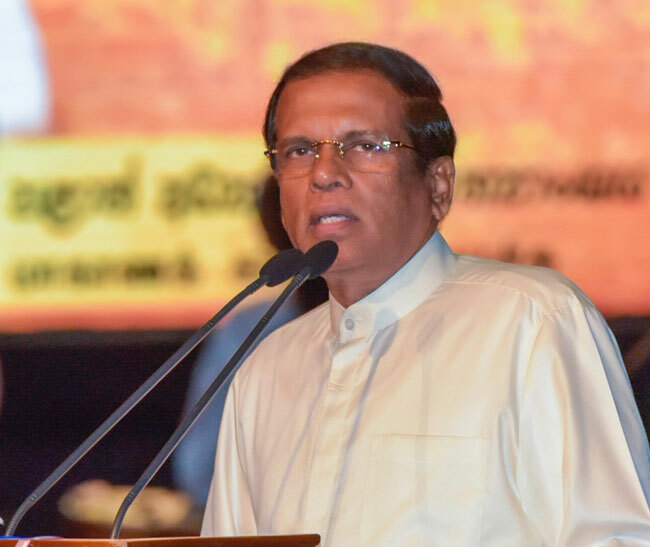 At present intellectuals in various fields including medical, engineering and technological fields, leaving the motherland has become a major problem, President Maithripala Sirisena said. He added that the Government is not ready to impose rules and regulations on the freedom of leaving the country, but as citizens who were nurtured as a result of free education, they should commit themselves according to their conscience to fulfill their responsibilities towards the motherland. The President, expressing his views further said that a country filled with intellectuals moves towards development rapidly. He also said that the assistance of the scholars and intellectuals is essential in achieving the economic prosperity and the development of the country. President Sirisena drew the attention of the officials regarding the issues prevailing in the teaching service. While the government is spending a huge sum of money on free education and to provide facilities, President Sirisena explained the need of an immediate programme to solve the internal issues in order to solve the problems in the teaching service and said that there’s a necessity to enter a broad and efficient programme in collaboration with the government, provincial councils and ministry of education and all the institutions. The teachers’ appointment letters were given today to cover the vacancies of the teaching service within the western province for commerce, arts, science, mathematics, ICT, as well as Tamil medium graduates. Governor of Western Province Hemakumara Nanayakkara, Chief Minister Isura Devapriya, Western Province Education Minister Ranjith Somawansa, Provincial Ministers Gamini Thilakasiri, Sumithlal Mendis, Lalith Wanigarathne, Western Province Secretary of Education Mr. S.G.Wijewardena and others participated on this occasion.